Search engines offer a clear-cut service to their users - to provide the most accurate/relevant search result. Their algorithms operate in a way to crawl (search and find) website content and then match its relevancy to the search query entered. How they determine ranking of relevance is somewhat more complex, factoring other aspects, such as meta tags, back-links (especially from credible websites), site traffic relevance, and URL structure. What is for certain is that your website's content is fundamental to achieving search ranking and even just for properly informing your audience. Making our website more interesting for visitors, so they will stay on your site longer, visit more often, be more inclined to act (i.e. buy or sign up), and refer others to it - online word-of-mouth has now become the new phenomena, with the ability 'like' and 'share' content. It is certainly not simply about flooding your website with so called "key" words or hiding lots of content somewhere deep in your website where no one will actually find it. In fact, this is considered keyword stuffing (or black-hat SEO techniques) and your website may be downgraded. Content should be clear, concise, honest and precise. In any case, you should want content to appear easy-to-read and non-fake, so visitors are attracted to it, and in turn persuaded to some sort of call-of-action, i.e. buy your product or service. A website flooded with too much content simply scares readers away. Hence, website content should find a balance between being comprehensive, yet also presented in a clear, natural and easy to follow manner; just like marketing/advertising copy or a good book. Usually, when developing a website you must provide the designer/developer with all the content. If you don't have the resources, you might have to outsource a website copywriter. This potentially doubles your costs. If you do it yourself, you run the risk of poor website content, and ultimately falling behind in SEO and conversions. Web-Conceptions provide a complete solution to make it easier and more efficient: website design, development and content copywriting services all in one; therefore TRUE SEO. Our professional writing team thoroughly research your company/organisation, sector and market, then work either autonomously or with you to write website content. Because our copywriting is also done in-house, writers work very closely with web developers, fine-tuning every little content detail, i.e. titles, sub titles and widow words; so it's specific, reads well, and presented clearly. This service is all-inclusive and offered at a much CHEAPER PRICE than most developers actually charge just to design a website! Unbeatable price and unbeatable value-for-money. 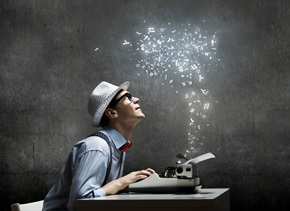 The ideal website solution: Copywriting + Marketing Communications + Website Development. To date, Web-Conceptions have written absolutely all content for all website projects. Visit featured website projects and see real life examples of our website copywriting work. We primarily work in English, but are also able to work with translation/localisation services. Essentially, we finalise the entire website (or other writing material) in English, and then have it translated either by the client, or sourced by one of our own professional translators. Our programming team then adds all other languages to the site as required. Web-Conceptions are able to translate website pages and content in-house, utilising professional and full-time working translators, including: French, German, Spanish, Mandarin, Cantonese, Greek, and Russian, and/or can do the technical web development work for pages/content translated by the client in any language.